By Giuseppe Sammartini. (Recorder). Dowani Book/CD. BOOK W/CD. Size 9x12 inches. 32 pages. Published by Dowani. By Benedetto Marcello. (Recorder). Dowani Book/CD. Play Along. BOOK W/CD. 20 pages. Published by Dowani. For Trumpet. DOWANI 3 Tempi Play Along - Trumpet. Artist: Boris Schlepakov - Trumpet; Tatyana Gevorkova - Piano. Level: Intermediate. 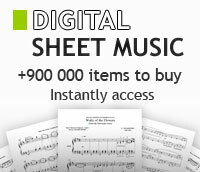 Sheet Music with CD (3 Tempi Play Along). Published by Dowani International. This edition: DOW3507. Dowani Book/CD. Published by Hal Leonard. By Charles Dieupart. Dowani Book/CD. Play Along. Softcover with CD. 16 pages. Published by Dowani. By Oscar Rieding. (Violin). This edition: DOW4512. Dowani Book/CD. Play Along. BOOK W/CD. 23 pages. Published by Dowani Editions. By Johann Sebastian Bach. (Flute). This edition: DOW5506. Dowani Book/CD. Play Along. BOOK W/CD. 28 pages. Published by Dowani Editions. By C. M. v Weber (1786-1826). For Clarinet. DOWANI Urtext 3 Tempi Play Along - Clarinet. Level: Advanced. Sheet Music with CD (3 Tempi Play Along). Published by Dowani International. For Clarinet. DOWANI 3 Tempi Play Along - Clarinet. Artist: Evgeny Petrov - Clarinet; Tatyana Gevorkova - Piano. Level: Intermediate. Sheet Music with CD (3 Tempi Play Along). Published by Dowani International. By Various. (Recorder). This edition: DOW2503. Dowani Book/CD. Play Along. BOOK W/CD. 43 pages. Published by Dowani Editions. By Oscar Rieding. (Violin). This edition: DOW4517. Dowani Book/CD. Play Along. BOOK W/CD. 22 pages. Published by Dowani Editions. (Viola). Dowani Book/CD. BOOK W/CD. Size 9x12 inches. 24 pages. Published by Dowani. In G Major, Hob. VIIa:4. By Franz Joseph Haydn. (Violin). This edition: DOW4508. Dowani Book/CD. Play Along. BOOK W/CD. 42 pages. Published by Dowani Editions. By Various. (Viola). Dowani Book/CD. Play Along. BOOK W/CD. 14 pages. Published by Dowani. By J. Brahms (1833-1897). For Clarinet. DOWANI 3 Tempi Play Along - Clarinet. Artist: Hilda Hernadi - Piano; Nandor Goetz - Clarinet. Level: Advanced. Sheet Music with CD (3 Tempi Play Along). Published by Dowani International. By Friedrich Seitz. (Violin). This edition: DOW4025. Dowani Book/CD. Play Along. BOOK W/CD. 21 pages. Published by Dowani Editions. By Oscar Rieding. (Violin). Dowani Book/CD. BOOK W/CD. Size 9x12 inches. 32 pages. Published by Dowani. Cet ouvrage est issi d'un concept pédagogique efficace et testé en pratique qui offre la possibilité de travailler les oeuvres d?une manière systématique dans différentes vitesses avec un accompagnement professionnel.